You may note that I have called this an Eggnog Surprise Smoothie. What is the surprise you might be asking? – read on! You may have guessed that I love eggnog! I have posted the odd few festive recipe featuring it over the years. The eggnog latte is my favourite Christmas drink in Starbucks despite it having way too much sugar than I should allow myself. 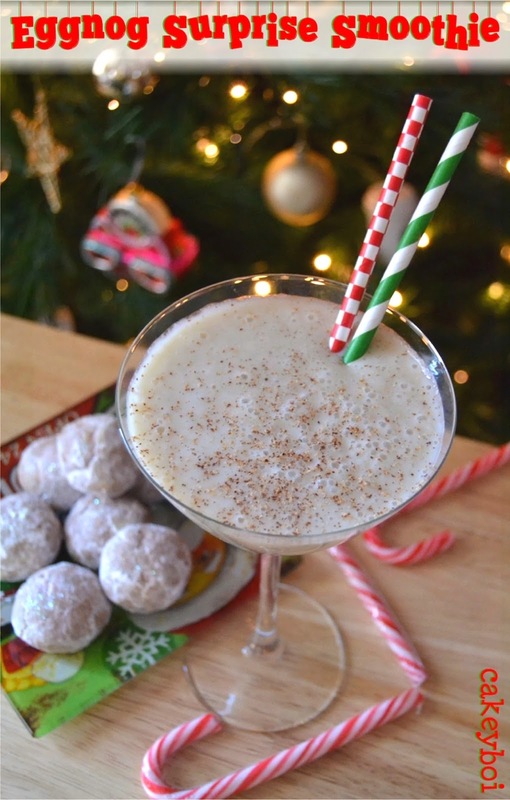 Let’s face it, eggnog isn’t the healthiest of seasonal beverages. With its egg yolks and cream, plus booze it is definitely something to be taken in moderation. What if I could replicate that taste in a much healthier drink however? I decided to give this a try in my Froothie Optimum 9400. I hadn’t used it in a while and knew it was itching to get an airing at Christmastime. 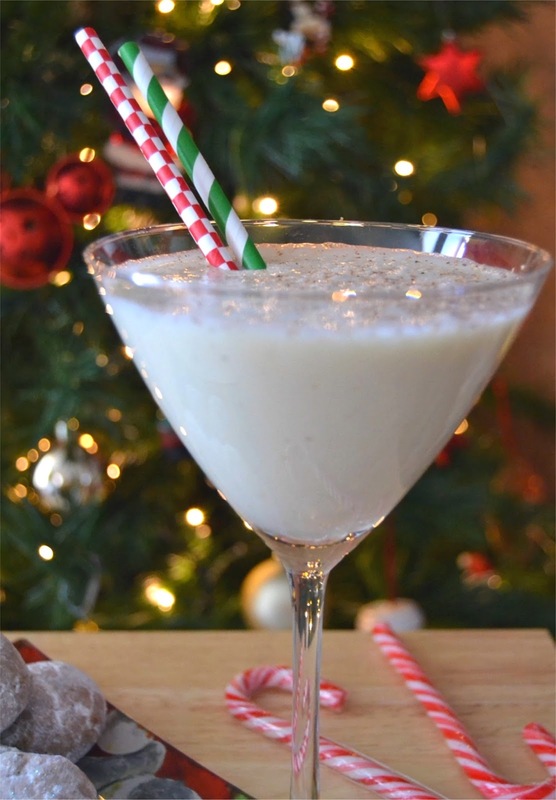 The list of ingredients includes only light coloured fruit and veg, so the colour of the drink is just like that of an eggnog. And that brings me to the ‘surprise’ element! I use a vegetable that you may be more familiar with on your Christmas dinner plate. A humble parsnip. That’s right – the white carrot-like veg tastes great in this smoothie. Parsnips are kind of sweet and spicy so go well in this drink. The other ingredients are a banana, a pear and some almond milk. For flavour I added vanilla extract, rum flavour extract and freshly grated nutmeg. You could add real booze if you were so inclined, but I really wouldn’t recommend it! Using the Froothie Optimum 9400 means that I can pop the peeled parsnip in without first parboiling it. The machine makes light work of the hard pieces of veg and in no time at all, I had a thick creamy white smoothie to sup on. (if using a different blender, I recommend parboiling the parsnip until knife tender and then letting it cool). 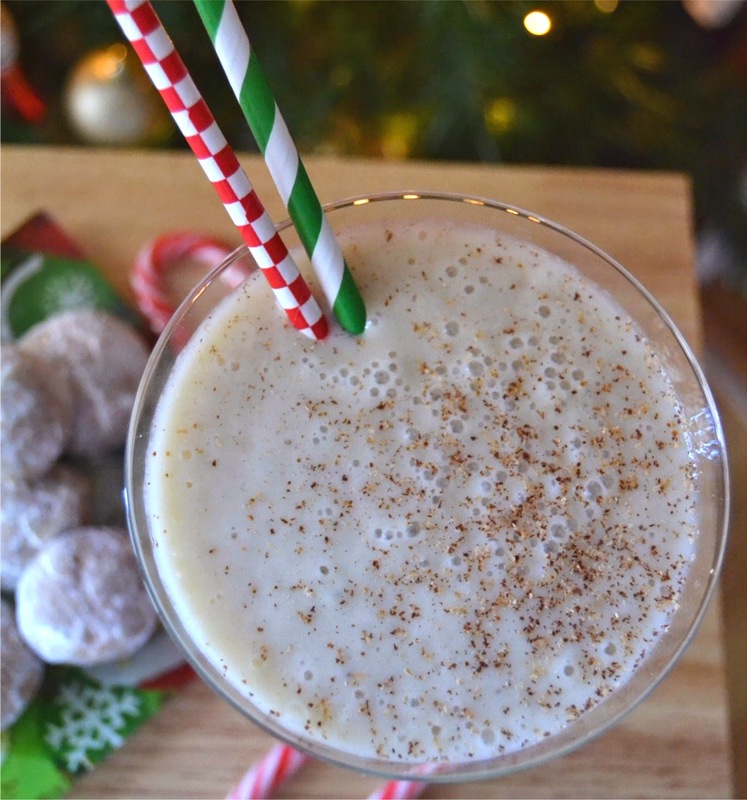 If you love eggnog, I know you will love this. Here’s the recipe. Place the peeled banana, peeled and chopped pear and parsnip and almond milk into the blender. Add the vanilla, rum extract and nutmeg until you get a taste you love. Pour into glasses, over ice if you like, grate on some more fresh nutmeg and enjoy! 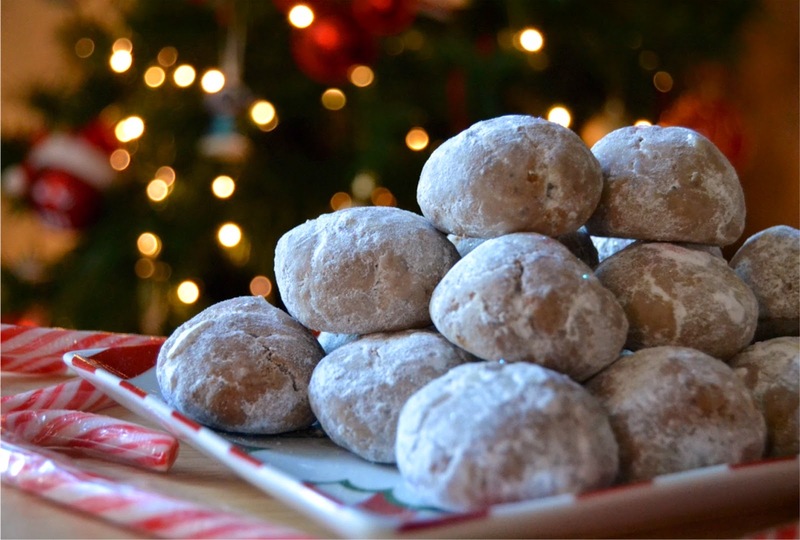 If you are wondering what the cookies on the plate are they are chocolate and hazelnut snowball cookies. They will be featuring in a guest post I have done over at the Cookie Recipe Advent Calendar this year over at my friend Stephanie's blog Kitchen Frolic. 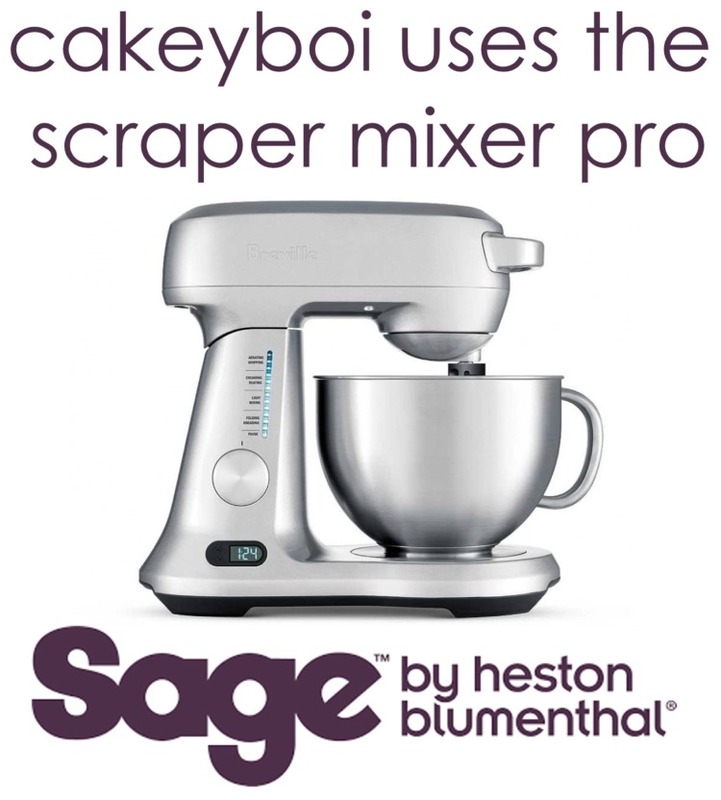 Grab the full recipe for them there! Disclosure Statement: I received the Froothie Optimum 9400 free to review. Any opinions expressed are my own. Hmm, I'll believe you ;) But the parsnip does provide a certain je ne sais quoi! Oooh that sounds like heaven - let's write to McDonalds now in time for next year!! !